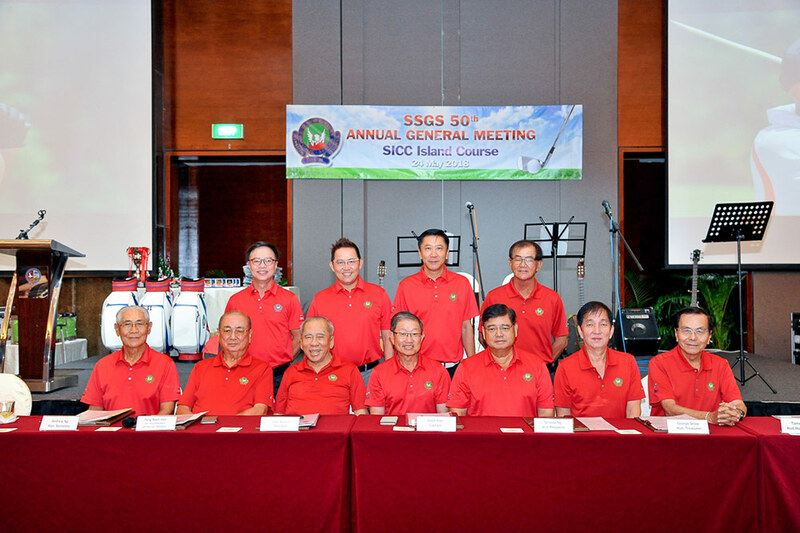 Our Society is run by a General Committee, which is elected during our Annual General Meeting. The election is traditionally held in May and in conjunction with this event, we hold our annual Gold Medal championship where the monthly medal winners compete for the coveted trophy. A celebratory dinner complete with prize giving and entertainment follows. Sitting: L-R Andrew Ng (Hon Sec) , Pang Boon Hee (Senior Vice President), Dato Loh Ah Joo (President), Peter Koh (Captain), Terence Ng (Vice President), George Seow (Hon Treasurer), Tommy Tan (Assistant Hon Treasurer).